It is the 2nd part of Micro Niche blog. we have already shared the part 1 where we describe the full details about micro niche blog with a live example. In the second I have shared the important steps you have to do before making a micro-niche blog. 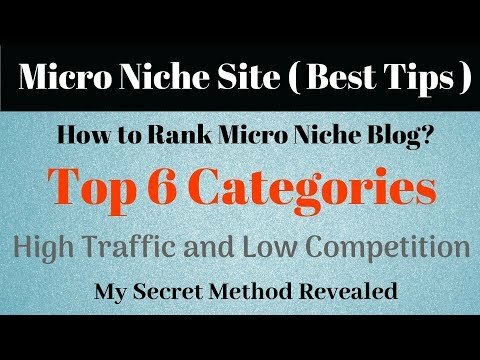 Also, I have shared the Top 6 Categories with high traffic and low competition where you can make a micro niche site and earn lots of money. If You have any questions then comment below. i will try my best to help you.